It may look like just fun and games, but deep connections to the environment are made minute by minute at Nature Center Nature Camps. Through daily outdoor activities, songs, games, crafts, hikes, and embracing children’s universal passions to build forts, sneak, and play unstructured in the woods, nature campers connect to the outdoors, and science naturally comes along for the ride. 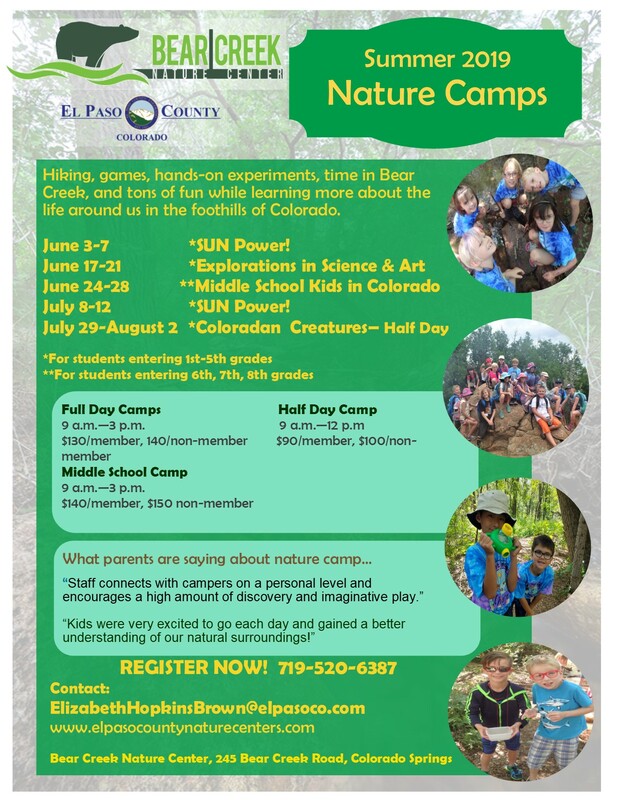 Camps are designed for children entering 1st-5th grades and a special middle school camp at Fountain Creek Nature Center for students entering 6-8th grades. Aged out of nature camp? Return as a Teen Volunteer! 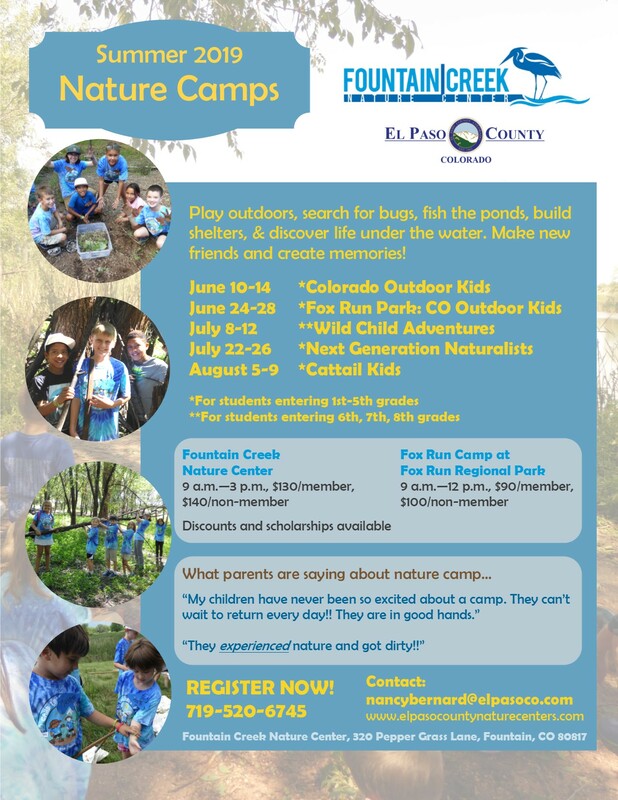 Play outdoors, get wet on creek days, build shelters, & discover Colorado’s foothills habitats. Create memories to last a lifetime! Play outdoors, search for bugs, fish the ponds, build shelters, & discover life under the water. Make new friends and create memories!